If you post regularly to Facebook, Twitter, or LinkedIn, someone has probably advised that you repost or retweet other people’s relevant content (curated) to your feed in order to engage your audience. This has some merit; after all, most small business owners and managers don’t have time to write their own original content every day. So, you source and repost this curated content until you are blue in the face, but still, nobody clicks through to your website, and bring you any social media traffic. Sniply is a simple tool that allows you to create an ad that you can place on any destination page you post on your social feeds. The beauty of this tool is that you don’t have to own the piece of content. It works by adding URL parameters to the link that you post onto your timeline. Let’s say that you share an article from the Washington Post, or any other source. When someone reads your post and clicks your link, the user is taken to the article, and Sniply magically displays your ad at the bottom of the browser pane. 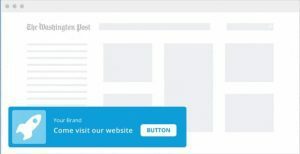 Using this tool you create a link back to your website that looks like an ad. You can promote offers, ebooks, blog articles. Anything that might be valuable to your customers. After you create a Sniply, the platform takes you to the dashboard, where you can monitor clicks and conversions you will get for every call-to-action. Tip: Install the Chrome/Opera extension for Sniply. This will save a lot of time for creating your links. In the spirit of full transparency, you should know that Sniply may not be for everyone. Some brands are blocking Sniply (actually the iFrame technology that it uses) to prevent Snips from being placed on their pages. We recommend sticking to big news outlets (Huffington Post, Entrepreneur, etc) for your Snips. Large producers of content are certainly aware of Sniply by now and if they have not blocked Sniply links already, they have likely already come to the conclusion that the benefit of your inbound link outweighs any undesirability of the ad placement. Btw! Have you read our Free Ebook The 30 Greatest Lead Generation Tips, Tricks & Ideas? If not, you definitely should. Rocketship is a service provided by Zastrow Consulting.